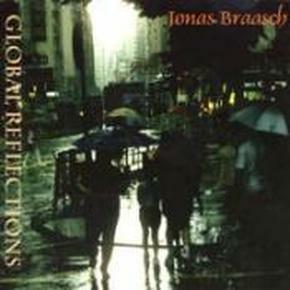 Jonas Braasch “Global Reflections” CD Jonas Braasch is a soprano saxophonist, improviser/composer, acoustician and a dedicated collector of binaural soundscapes. He grew up in the Ruhr Area, Germany's cultural melting pot, and Pusan, South Korea. His saxophone style expands the traditional repertoire [in both Classical Music and Jazz idioms] by incorporating various non-western elements, as well as original extended techniques. Another aspect of his work is the integration of soundscapes and other concrete elements, a clear reflection of his personal relationship with the environment. This sensibility has inspired him to create complex synthetic sound fields which he then integrates into his compositions.